Hopefully you enjoyed this year’s addendum to Reviewing The Rumbles! I always love watching them and keeping track of my thoughts for you. If you like these, feel free to visit Ghosts of the Stratosphere, which is a website and podcast of mine wherein we discuss comic books and other pop culture related goings on. We discuss wrestling a bit there, but mostly? I rank Pop-Tarts. That’s… sadly not even a joke. I don’t only review Royal Rumbles, you know? Rumbles and Pop-Tarts: two of my favorite things. 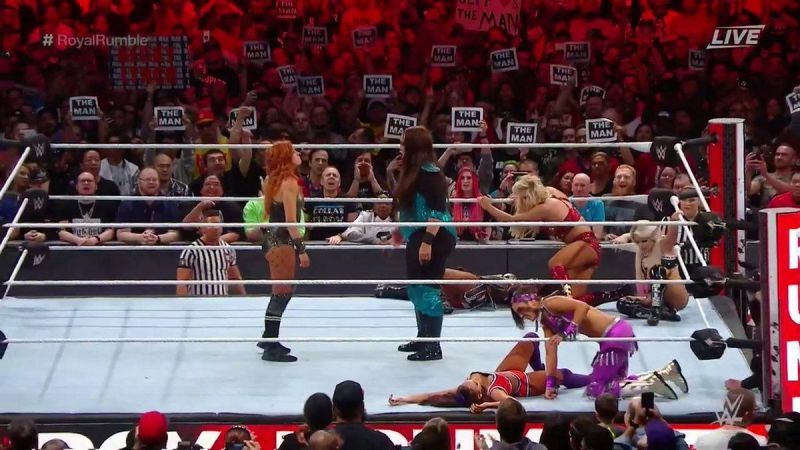 The women’s Rumble was an all-time great with the definitive right person winning, some good moments sprinkled throughout, and great drama. It also set up stories going forward. The man’s iteration this year was absolutely nothing special, but not egregiously bad, either. Again, the right guy won, but the road there was unspectacular. Averaging their scores… 6.5.